When cars and bikes have a collision, who is more likely to be at fault? Bicycle accidents involving cars usually happen due to the car driver’s lack of attention or failure to give the right of way for the bicyclist. But this is not always the case when accidents happen. So let’s figure out who, between the two, is at fault for this type of road accident. Despite everyone’s best efforts, accidents happen. 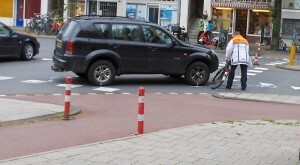 And either, or both, the cyclist and driver could be at fault. Just as with car accidents, liability depends on whose negligence caused the bicycle-car accident. Both drivers and cyclists are required by law to follow the rules of the road. That means, for example, giving the right-of-way and respecting traffic lights and signs. Drivers will want to remember that violating traffic laws during a bicycle-and-car accident can be considered “negligence per se.” Speeding is one example. Their speeding violation can contribute to evidence that they were negligent in the accident. It’s also worth noting that drivers face a higher standard in accidents involving children riding bicycles. Bicyclists should think of themselves as drivers. For example, if they fail to signal, or ride against traffic, it constitutes “contributory” or “comparative” negligence. 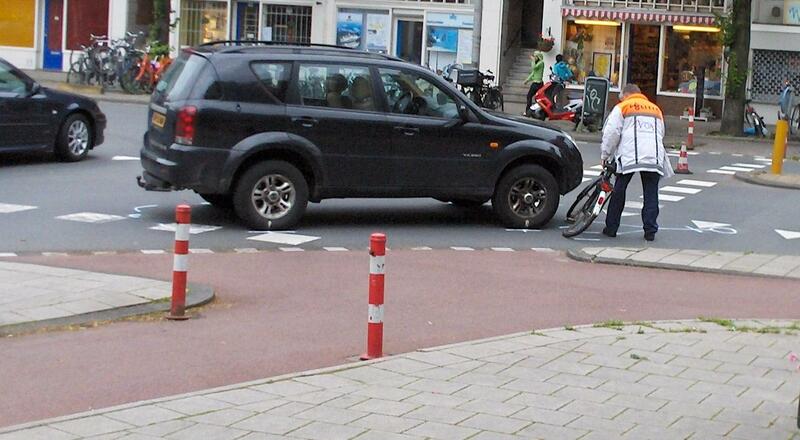 If the driver were injured, it would be the cyclist’s fault. That would mean the cyclist also couldn’t collect for any injuries or damages they sustained in the accident. Whenever you’re involved in a bicycle-car accident, protect yourself by calling the police to file a report. Gather the other person’s name, address, phone number, vehicle information and insurance information. And get contact information for witnesses. And never admit fault. Always consult a professional lawyer who’s familiar with vehicle accident law. Visit www.aclawyers.com today to get help with your bicycle-and-car accident questions. To reduce the risk of road accidents with cars and bicyclists, both should maximize their visibility, familiarize themselves with the road rules and recognize the dangerous intersection perils. Both should take safety precautions especially when getting close through an intersection.